AkzoNobel has launched its new corporate brand. Symbolizing the company’s fundamental transformation and determination to lead change, it embodies AkzoNobel’s clear ambitions for the future and a passionate commitment to deliver Tomorrow’s Answers Today. As well as a subtle name change and a revitalized, powerful logo, a new brand architecture has also been introduced, along with updated company values and a new brand philosophy. Together it creates one, distinctive global brand and supports AkzoNobel’s highly focused strategic vision. Wijers adds that the introduction of Tomorrow’s Answers Today is central to the new brand. “It is the heartbeat of the transformed AkzoNobel. It drives our creativity, our product development and lies at the core of all our activities. It will focus our efforts on further strengthening our position as being the world’s largest paints and coatings producer and one of the leading global suppliers of specialty chemicals. The decision to retain AkzoNobel as the company name was a strategic one – based on extensive research – which indicated that the name commanded too much value, heritage and respect for it to be discarded. Therefore, ICI will be discontinued as a corporate name. “The new brand is about creating brand equity, not destroying it,” explains Wijers. 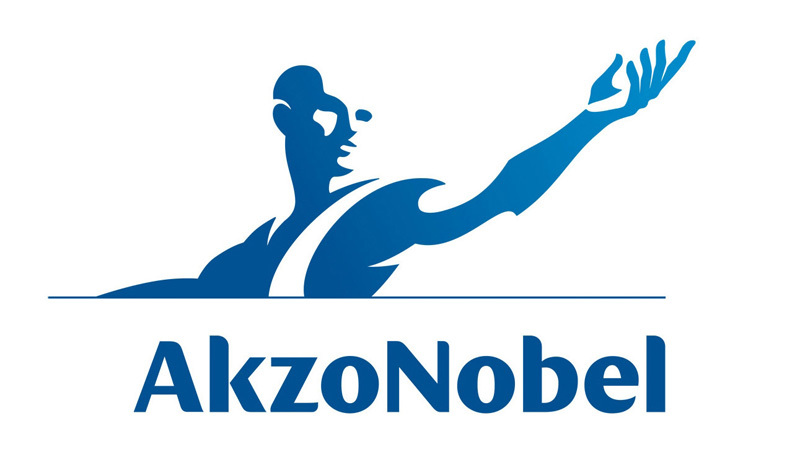 “Our studies confirmed that there is considerable value in the name of AkzoNobel. It is well respected throughout our industries and is synonymous with trust and quality, so there was no reason to change it. Our strategy now is to combine the strong AkzoNobel business-to-business reputation with the former ICI’s excellent consumer brands reputation. This will create a powerful brand with significant global reach and incredible potential for growth. “The logo, however, has changed. It was already a very strong and distinctive asset, but it has been made more relevant for the 21st century and now has a greater sense of power and energy. It is an embodiment of our Tomorrow’s Answers Today positioning.” The chairman adds that the logo will now be used to endorse all the company’s brands. The ICI logo, meanwhile, will continue to appear on relevant products during the forthcoming migration period. Also central to the whole positioning of the new AkzoNobel are its five new company values, which provide the bedrock on which the new brand is built. They are as follows: focusing on our customers’ future first; embracing entrepreneurial thinking; developing the talents of our people; the courage and curiosity to question and integrity and responsibility in our actions. Launched today at a special event held in Amsterdam, the Netherlands, the new AkzoNobel brand will be rolled out globally during the next 18 months. A worldwide corporate advertising campaign is also scheduled to start shortly.